Atossa Araxia Abrahamian on borders, Joan Walsh on Pramila Jayapal, and Harold Meyerson on politics after the shutdown. 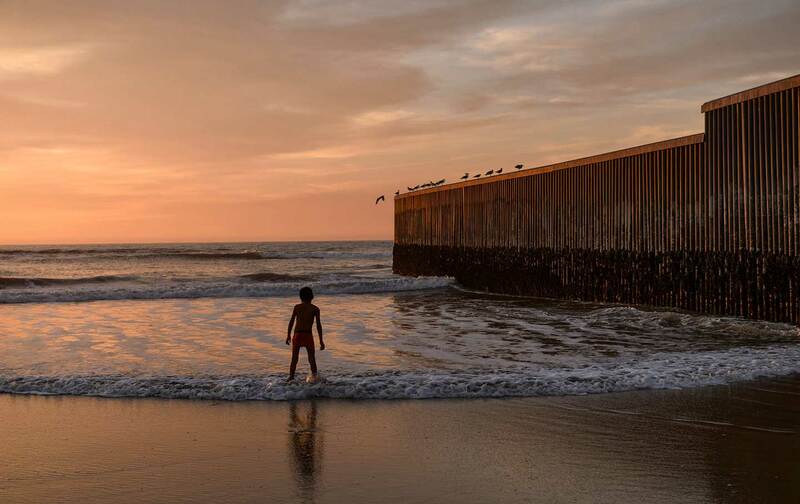 The battle between Democrats and Trump over a border wall was a disagreement about symbolism, not policy, Atossa Araxia Abrahamian argues; the borders of the future won’t be as easy to spot as the wall that Trump is proposing. And the new borders going up around us—digital ones—are already taking away our freedom. Also: how the progressives in the House will fight Trump: Joan Walsh reports on the Congressional Progressive Caucus and its co-chair Pramila Jayapal—and their plans for a Green New Deal and Medicare for All. Also: The strange case of the 12 Democrats who joined both the Progressive Caucus and the “centrist” New Democrat Coalition. Trump’s throwing in the towel on the shutdown after the closure of LaGuardia airport opens a new era of challenge to the president, and also “evened the score” for the air traffic controllers, Harold Meyerson says. That came almost 40 years after Reagan fired striking air-traffic controllers, which began a devastating wave of attacks on unions. This time they beat a Republican president—and progressive Democrats are eager to expand the fight. Harold is executive editor of The American Prospect.